How do I find out about upcoming court actions? Does the prosecuting attorney file criminal charges on every criminal complaint? What is a plea bargain, and why is it used? There are nearly 500 cases scheduled for hearings each week in the Elkhart County courts system. Please go to http://mycase.in.gov to search for cases by offender name or cause number. Court dates and times frequently change. Please contact the court directly for confirmation if you are planning to attend court proceedings. Upon receipt of a complaint of criminal conduct, the police conduct an investigation to gather information or evidence to be reviewed by the prosecuting attorney. The prosecuting attorney determines whether sufficient evidence exists to support that: (1) a crime has occurred, (2) the right person is identified and (3) charges should be filed considering all circumstances known. The prosecuting attorney then files a charge of the crime with the court, and the prosecution commences. If you believe that you have been a victim of a crime, you should contact the police and provide them all available information as to the crime which you believe to have occurred. The term "pressing charges" relates to a victim or complainant issuing a complaint against another for a possible crime and representing an intention to go forward with the prosecution by agreeing to testify in an eventual trial. Although you may be the "victim" of a crime, the crime is also against the State of Indiana. Once the prosecuting attorney has filed a charge, the decision to terminate the prosecution or dismiss the case rests solely with the prosecuting attorney. Not all complaints of criminal conduct will result in the filing of criminal charges by the prosecutor. 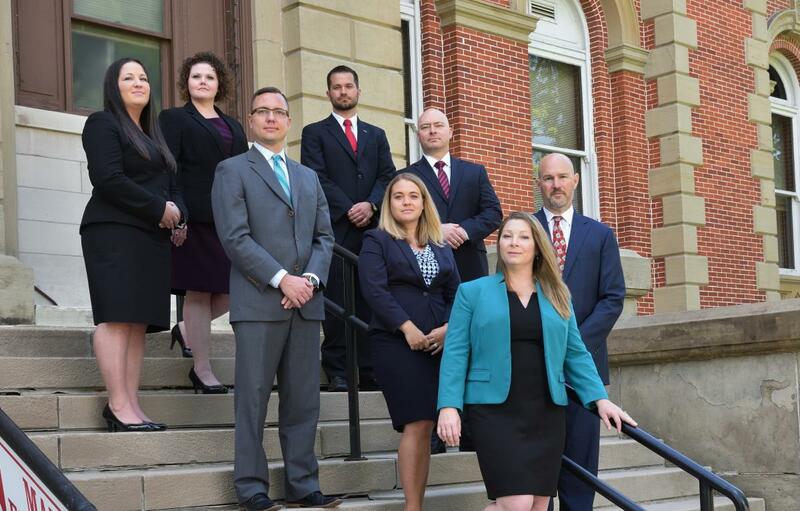 There are numerous considerations that go into the decision to file criminal charges, including the quantity and quality of evidence of the crime. Plea bargains are agreements between the prosecuting attorney and the criminal defendant and his/her lawyer that set forth terms that both parties determine to be a reasonable disposition of a case without the case proceeding to trial. Plea bargaining is necessary to the efficient administration of justice, as it would be impossible to proceed to trial on all criminal cases filed. Factors considered in plea bargain negotiations are the type and level of the offense, the quantity and quality of evidence, and the prior criminal history of the accused, among others. As a general rule, all criminal cases are required to be completed within one year of the date of filing. Practically speaking, many cases are concluded prior to the one-year time limit, and many cases exceed the one-year time limit, albeit for legitimate and court-approved reasons. Typically, cases that are minor in nature (i.e., misdemeanors, Class D felonies, etc.) work through the normal system within six to nine months. More serious charges may extend from six months to two years or more, depending upon the complexity of issues and other factors. TELL THE TRUTH! If you are called to testify as a witness, you will receive a subpoena directing you where to be and when. Review the Tips for Testifying to answer your common questions.